"Before the Emperor’s coronation, the Seppun entrusts Kunshu into the care of a Great Clan, who guards the sword until the day of the Emperor’s ascension." 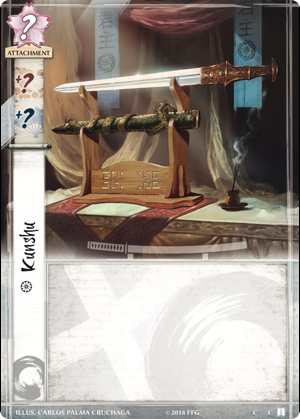 The fate of the Emperor's ancestral blade lies at the heart of the Kunshu Season Kotei Series for Legend of the Five Rings: The Card Game! The Kotei Series offers you the chance to test your skills against Rokugan's greatest samurai, to win personal glories, and to honor your clan. Attend any of these highly energized events, and you'll compete for a seat at the 2019 Winter Court World Championship, battle for Hatamoto status, and claim an array of custom prizes. You'll also help decide the fate of Kunshu, the Emperor's ancient and incomparable tsurugi. What makes Kunshu so special? Why should the Great Clans care who guards it? And how could an honorable samurai even begin to think of seizing the blade as leverage? 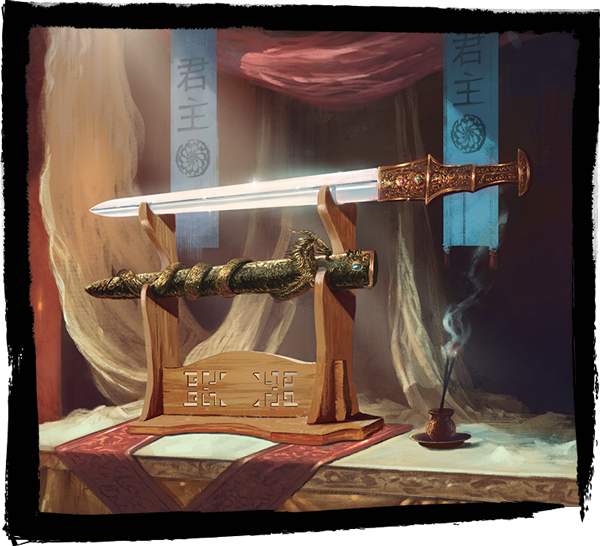 You'll find these questions—and more—addressed in the new Legend of the Five Rings story, "Imperial Gifts" (pdf, 1.3 MB), which is set before the Children of the Empire web fiction and the events of "Tiger Stalks Its Prey." Still, for all the questions this story raises, you won't find any answers. The answers haven't yet been determined. They depend upon your actions—and the actions of your fellow clan members—throughout the Kunshu Season Kotei Series! Following with the year's change in theme, there are a number of important structural changes that players can expect and look forward to in the Kotei Series. These include changes to the length of Kotei events, the prizes, and the way that participants earn Favor and Glory points for their clans. All regular Kotei tournaments will now be held on a single day with six rounds of Swiss-style pairings, awarding Hatamoto status and invitations to the 2019 Winter Court World Championships to all undefeated players. There will be no Day 2, but a weekend's events may feature multiple Kotei tournaments. Grand Kotei locations will continue to feature Day 2 cuts. All players who earn 5 or more wins on Day 1 will make the cut to Day 2. All players who go undefeated through the Day 1 rounds will be made Hatamotos. The Top 8 participants at each Grand Kotei will receive an invitation to the 2019 Winter Court Championships, as will all undefeated players in the Proving Grounds side events that will run alongside the Day 2 rounds at each Grand Kotei. The winner of each Grand Kotei will receive free flight and lodging to the 2019 Winter Court World Championships. All Kunshu Season Kotei Series events will feature a Prize Station where players will be able to redeem the koku (prize vouchers) they earn during their competitions for the prizes of their choice. Players will be rewarded for showing true clan loyalty as each stop in the Kotei Series will feature a Costume Contest. Players can help their clans win Favor Points and Glory Points. The clan with the most Favor Points at the end of the Kunshu Season Kotei Series will host the 2019 Winter Court World Championships, with many prizes themed to their clan, while the clan with the most Glory Points will win the right to guard Kunshu—the Emperor's ancestral tsurugi—before the next Imperial coronation. What part will you play in shaping your clan's future? What honor will you win? How will you help your clan gain the Imperial favor? What would you advise your Clan Champion if it were your clan that were awarded guardianship of the Emperor's ancestral tsurugi? The future of Rokugan isn't written in stone; it's written in steel and courtly gestures. It's written by the samurai of Legend of the Five Rings: The Card Game—by you. And you can start writing the next chapter by making your plans to attend one or more events in the Kunshu Season Kotei Series! 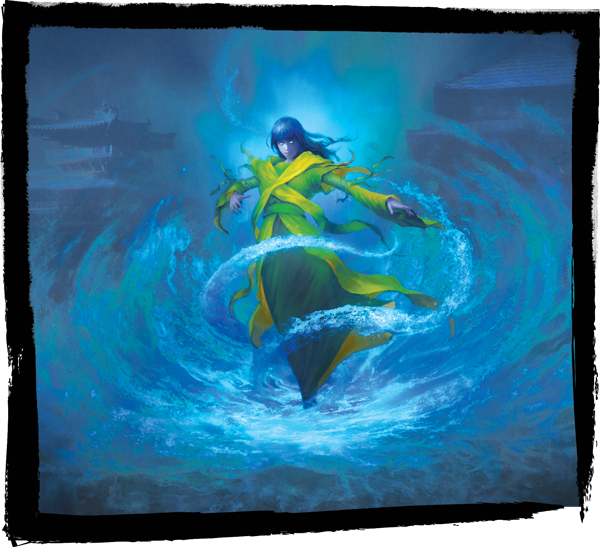 Find the list of upcoming events, along with more details about the event structure and prizes on the Kotei section of the Legend of the Five Rings: The Card Game Organized Play website.